For the past few weeks Internet was filled with the news related to “Android’s Factory Reset Security Problem”. We’ll brief about it once again here. Suppose if you own an Android device and if you want to sell it, then you’ll probably try to factory reset it, so that you can erase everything from the phone. But will it erase everything? According to some Cambridge researchers, Android’s factory reset option is not as reliable as the name sounds. They were able to recover some information from the phone even after doing a complete factory reset. Sounds scary isn’t it? 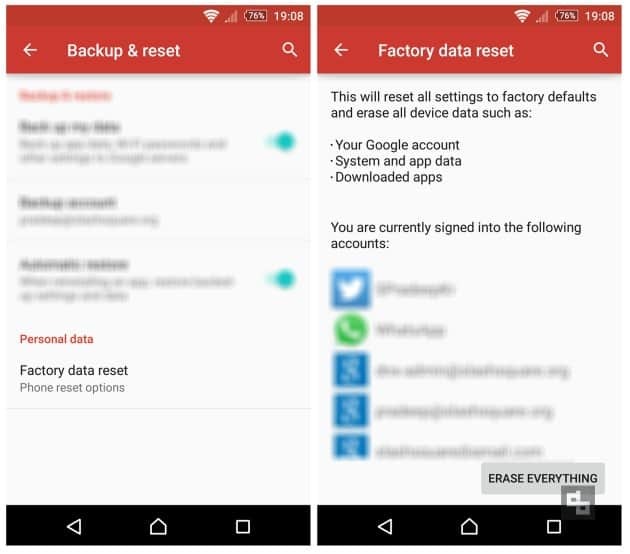 But don’t worry, Adrian Ludwig has a quick fix for Android’s factory reset issue. Adrian Ludwig, the lead engineer for Android security, recently commented on the study provided by the Cambridge researchers. He has given us a quick fix and a simple tip to overcome this issue. Yes, that’s right. Before you get rid of your Android smartphone, it is recommended to encrypt the device first and then do a factory reset. That’s it. Adrian Ludwig suggests this is the best way to get rid of all the data in your phone. 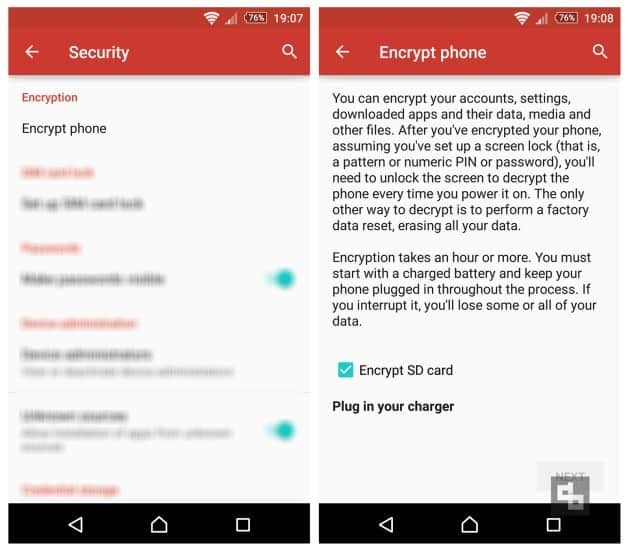 If you want to protect your Android smartphone and its data, then this is a quick way. By keeping your smartphone’s memory encrypted, it’ll be hard for others to gather the undeleted data, even if they do so, they won’t be able to align it properly. Hope Google (or Android) provides an update to fix this issue overall, because people often change their smartphones and the ‘Factory reset’ option will be used by almost everyone.